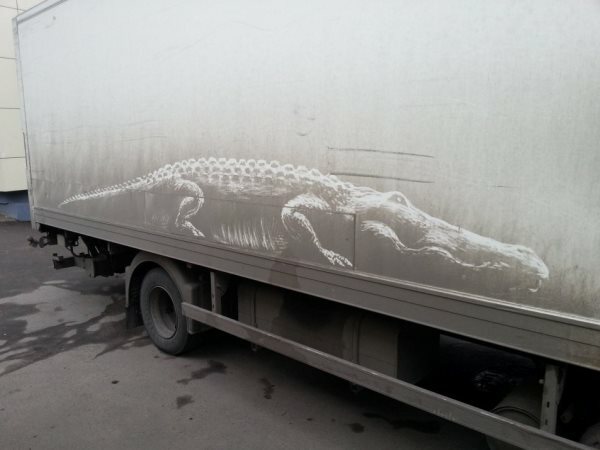 This artist uses dusty vehicles in Russia’s capital as his muses. Remember walking past a dusty car in a shopping mall’s parking area, where the words ‘Please clean me’ are boldly written in finger marks on the vehicle? Safe to say, most likely all of us have. 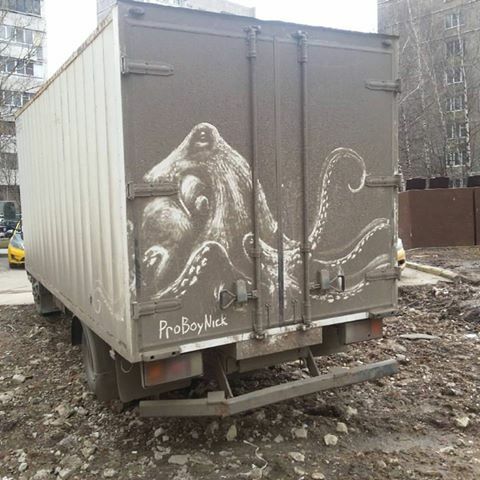 But how often do you come across a grubby ride that’s been transformed into art? 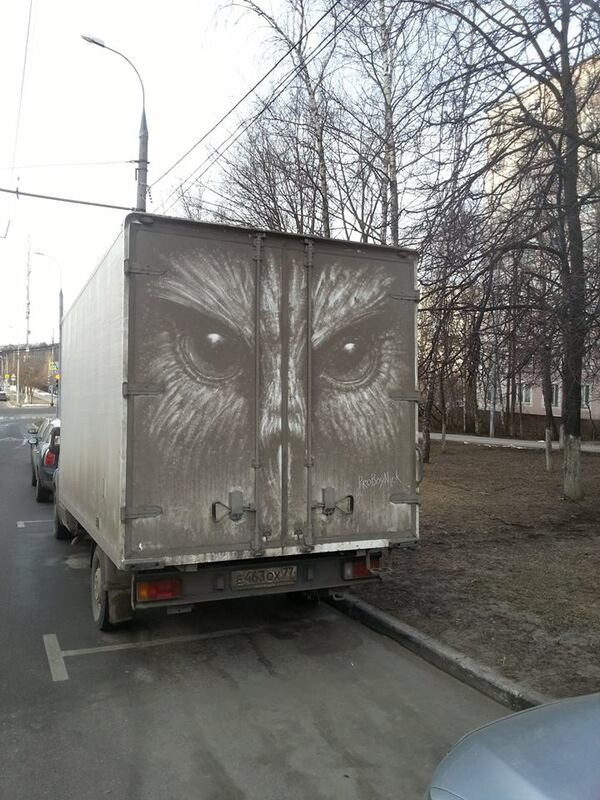 Take a trip to Moscow, follow Nikita Golubev around and you’re bound to enjoy instantaneous street art because this artist uses dusty vehicles in Russia’s capital as his muses – and its result looks mind-blowingly awesome! 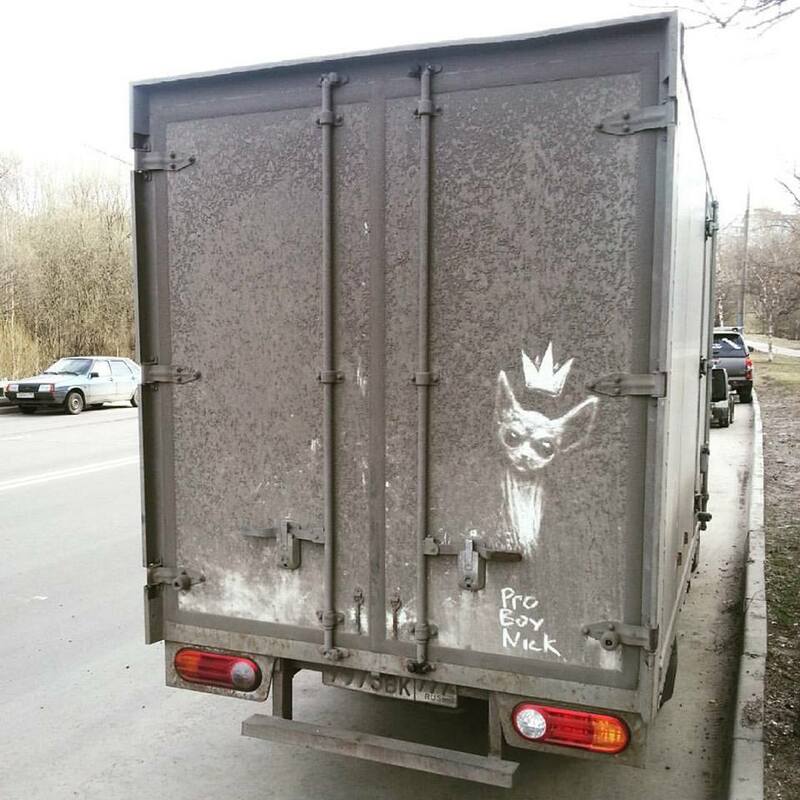 Golubev’s creative pieces are part of an ongoing project called #dirtpainting, a series of street art he’s created. Besides sticking his fingers on other peoples’ cars, Golubev is a multimedia artist, who does work in fine art, digital art, and character and film design. 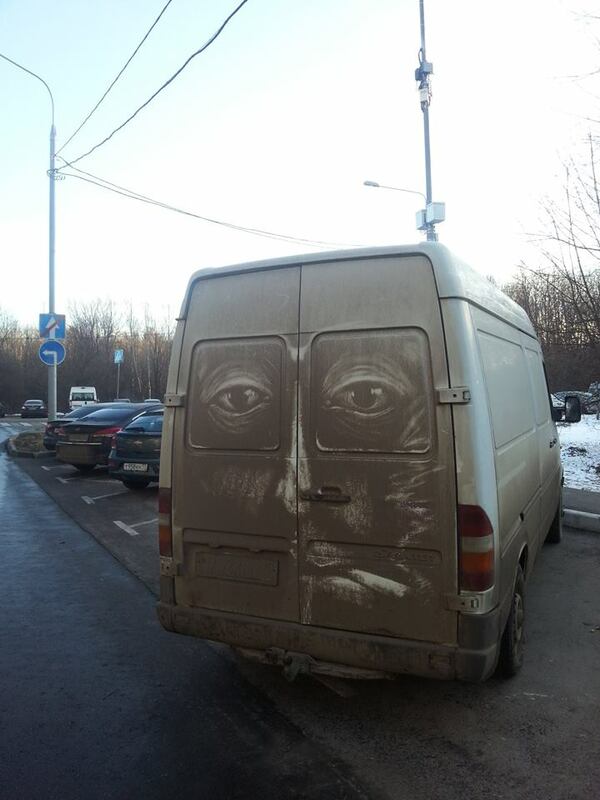 But it’s his work in dust-painting we’re most intrigued by.